Restorations come in all shapes and sizes to suit the wells use, history and budgets so no matter what you have in mind we can work closely with you to bring you the best restoration project from your well for you. 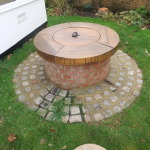 Restoring a well back to working use does not have to complicated and does not have to be done in one swift project, We can work with you to restore a well in stages which is sometimes best not only for budget but for building works and also for you. 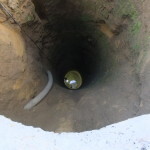 We know how interesting wells can be so if someone is doing work to a well we expect the customer to want to be there and see the work taking place. We can provide pictures and video while we are doing the work. If a well has holy connections which a lot of wells were classed as holy wells where travellers would stop and pray, these can hold a lot of history and for some that is extremely important. At South Coast Water we understand this and can offer the perfect solution to restorations and keeping the history in place. 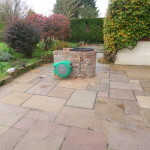 Assets……… Yes that is another thing a well is good for, it is a great asset to any property nowadays which are on or are about to go on a water meter. They give the owner a free, fresh supply of water for use for all your water needs or just for watering the garden. They can be used in a hose pipe ban area without any problems, the hose pipe ban is from the mains water supplier NOT your own water supply. When we restore wells we can find all sorts of treasure. They are not worth anything BUT if your house has a lot of history then what we find down the well is priceless. From very old medicine bottles, Glass batteries, gin, whiskey, wine and champagne bottles, Leather shoes, milk bottles, cutlery, clothes, coins, ovens(! ), flower pots and much much more, they are great treasure troves of history. 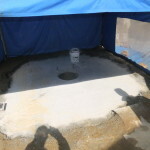 We can clean a well even if it is completely filled in with rubble so do not think it will never be a usable well again. All it takes is for us to remove all the rubble and debris, clean and restore the walls and the well will be good to naturally refill with water ready for use again. Please visit our well cleaning page for more information. We are also able to successfully restore old hand pumps and down well booster pumps so they both look good and work just as good as they look. Pumps require new weights and leather seals which we are able to replace for you. Please visit our pump restoration page for more information. The top of your well is one of the most important parts of the well. Not because it helps make it work but because it needs to look good and also needs to be functional. We can ensure you have fancy lights down the well with a glass top or we can ensure you have a brick built traditional well top. There are all sorts of caps and covers available so please visit our well caps and covers page for more information. 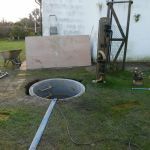 Restoring a well is not just about making it look clean and tidy, if the well is to be used it needs to be maintained and serviced regularly. Now when we say regularly we mean between 20-30 years. Over time the ground water aquifers silt up which stop or slow the water coming into the well and then the water as always will take the path of least resistance which is away from the well. With first hand experience and techniques past down from original well diggers and well scrubbers we are able to de-silt and revitalise a well back to perfect working order again. Many wells were covered over when mains water was piped to almost every home so they have laid undiscovered. 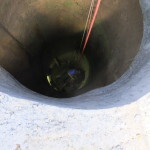 People are always finding wells so if you have found a well in your garden or around your property please contact us. If you think you have a well or have heard stories of a well being on your property we can search through old records to try and find and locate your well. If we do not have any luck through records we can instruct a dowser to find water and locate your well. 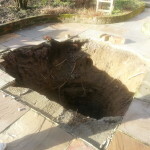 Well digging is not something you hear about every day but we can dig a well if the local ground water levels are high so you can have your very own hand dug well however anything over 5m in depth becomes expensive so sometimes it is not feasible but please contact us with your requirements as we may be able to help. If a well is not feasible then a borehole will be, please read our borehole pages if that is something that might be of interest. Please check our gallery pages and keep track of us using our blog to see what we have been up to. If you would like more information about anything on this website please do get in touch with us.